Subscriptions for the 2019 Summer Festival are on sale now! Tenor Santiago Ballerini singing Tonio’s aria “Ah mes amis…” from La Fille du Régiment. A spirited and charming tomboy, adopted and raised by an army regiment, has fallen in love with a handsome soldier. But when she receives new information about her identity, she must decide whether to take her place in society, or follow her heart. Opera Saratoga’s new production of La Fille du Régiment will be sung in French, with English supertitles at every performance. The production will feature the company debut of Argentine tenor Santiago Ballerini, one of the most in demand bel canto singers performing on stages around the globe. Enjoy this preview of Santiago’s beautiful singing and nine ringing high C’s in the famous aria, “Ah mes amis…” from a recent live performance. You won’t want to miss his Saratoga debut! Composer Ricky Ian Gordon and Soprano Jennifer Zetlan. PURCHASE JENNIFER AND RICKY'S NEW RECORDING, "YOUR CLEAR EYE"
Through the evocative poetry of Pulitzer Prize winner Frank Bidart and the beautiful music of Ricky Ian Gordon, explore the emotional, psychological and physical challenges of a woman struggling with her perceptions of her body, her relationship with food, and the world closing in around her. This world premiere opera has been co-commissioned by Opera Saratoga with Beth Morrison Projects, and will feature the company debut of soprano Jennifer Zetlan in the title role. Jennifer and composer Ricky Ian Gordon recently made a recording of some of Ricky’s songs, with Ricky accompanying her at the piano. While we can’t yet give you a preview from the world premiere, enjoy a beautiful example of Ricky’s music and Jennifer’s singing on this recording of the song, “Will there really be a morning?” - and get your tickets for the world premiere that everyone will be talking about this summer! Video Preview from La Monnaie of Manual Cinema’s production of Hansel and Gretel, coming to Opera Saratoga this summer. Once upon a time, like you’ve never seen before! The classic fairytale comes alive anew in this remarkable production featuring shadow puppets, projections and silent movie imagery in a truly unique hybrid of music, film and theater for the entire family. This boundary-breaking production by the Chicago-based theater company Manual Cinema was originally created for La Monnaie in Brussels. Opera Saratoga is honored to be the first opera company in the United States to present this truly unique version of one of the most beloved operas in the repertoire, featuring members of Opera Saratoga’s Young Artist Program in all of the principal roles, with a guest appearance by members of the Children’s Chorus of the Glens Falls Symphony. Enjoy this video preview from La Monnaie, providing a glimpse of Manual Cinema’s work in action! Mozart and Salieri, Op. 48: Scene 1: Pryedstav sebye ... kovo bui? (Mozart) · Rimsky-Korsakov: Mozart and Salieri ℗ 1993 Chandos Released on: 1993-04-01 Artist: Vladimir Bogachov; Artist: Nikita Storojev; Choir: I Musici de Montreal Choir; Conductor: Yuli Turovsky Orchestra: Musici de Montreal. Well before Amadeus, Pushkin’s poetry inspired Rimsky-Korsakov’s striking one-act opera based on the rumor that Mozart was murdered by a contemporary rival, Salieri. 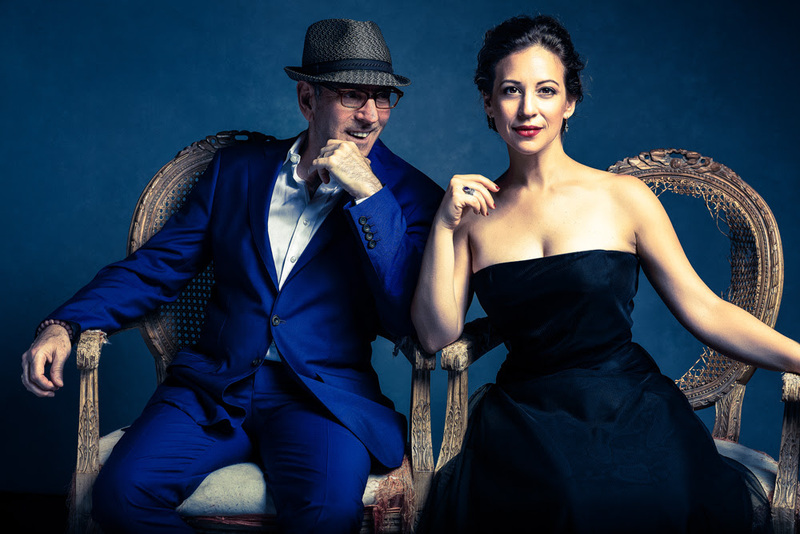 Opera Saratoga’s one night only special event features a concert of arias by both Mozart and Salieri, followed by a concert staging of the first Russian Opera in the company’s history. Rimsky-Korsakov set Pushkin’s “little tragedy” almost verbatim, interpolating excerpts from Mozart’s scores in the opera. In this scene from the beginning of the opera, Mozart is visiting Salieri. He tells Salieri that he has been suffering from insomnia, during which “two or three thoughts” have come into his head, which he has sketched out. He then proceeds to play his sketch, which of course, is ravishing and inflames Salieri’s envy… This one-night event is not to be missed!